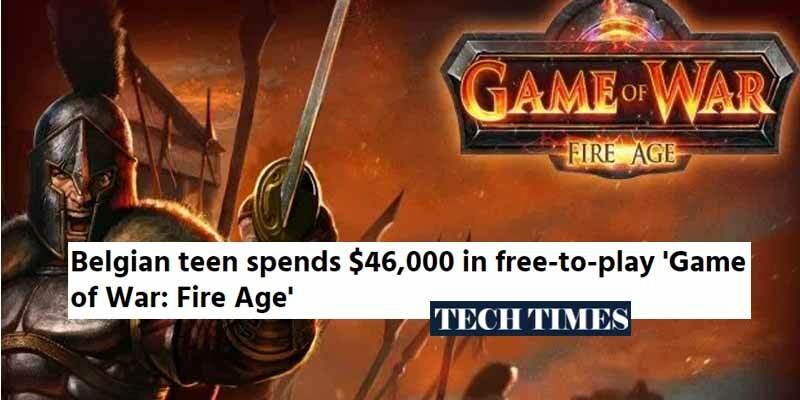 After a Belgian teenager by the name of Robin helped his mother add her credit card to her iTunes account so she could download ebooks, he also added the card to his own account and charged $46,000 in Game Of War: Fire Age microtransactions in a span of only 3 months. Details are a little sketchy, but when the story first hit Belgian news his mother claimed that, while he knew he was spending money, he didn’t understand just how much he was spending as there was no cumulative total displayed. Teenagers, see, don’t have the ability to add or keep track of things by themselves, apparently. The saddest part is that the credit card belonged to Robin’s mother’s father i.e. his grandfather, leading to plenty of shame for both of them.